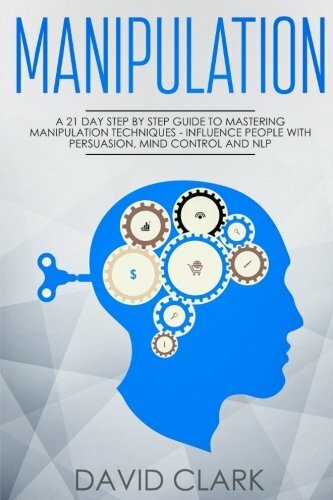 WOULD YOU LIKE TO LEARN TO MANIPULATE AND PERSUADE PEOPLE INSTANTLY? WOULD YOU LIKE TO SPEED READ PEOPLE EFFECTIVELY THROUGH VERBAL AND NON-VERBAL CLUES? Manipulation carries with it a lot of negative connotation but all of us have used it at some point or another, and it is likely that we have been a subject of it as well. It is simply the process that is used in order to get someone to do something specific for you. It can present itself in the form of a commercial on television, a billboard ad on the street, or a sales person that is trying to convince you to purchase a product or service. Psychological manipulation skills can be very helpful in your everyday social, personal and career life. So, what are you waiting for? Grab your copy today and dive into the world of human psychology and behavior! View More In Intellectual Property.